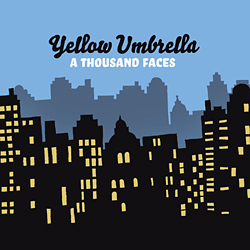 Yellow Umbrella call their new album "A Thousand Faces" , a name which is inspired by the american mythologist Joseph Campbell. He wrote the book "The Hero with a Thousand Faces" which descibes the idea of the monomyth, a basic pattern found in many narratives from around the world. The band also represents 1000 faces featuring theirs basics like reggae, ska, dancehall, rocksteady - spiced with klezmer, balkan, jazz, latin, punk and rockn roll and merged to a wild and extremely danceable urban sound. Definitely their best album ever !